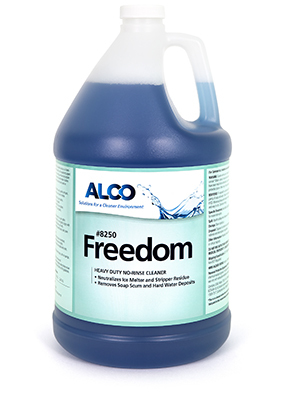 Alco Freedom - Alco-Chem, Inc. Excellent for cleaning aggregate or transitional concrete floors, residue left from ice melters, hard water/mineral deposits in bathrooms and rubber floors. For walls, floors, etc. Also use on aluminum, stainless steel, leather and plastic upholstery and woodwork.